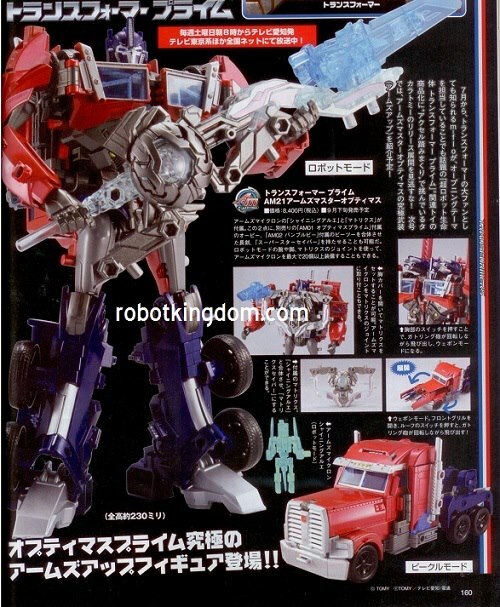 Time to get out your handkerchief, Transformers fans, as we take a look at the “What you’ll never own unless you get expensive imports” August issue of Dengeki Hobby magazine out of Japan. 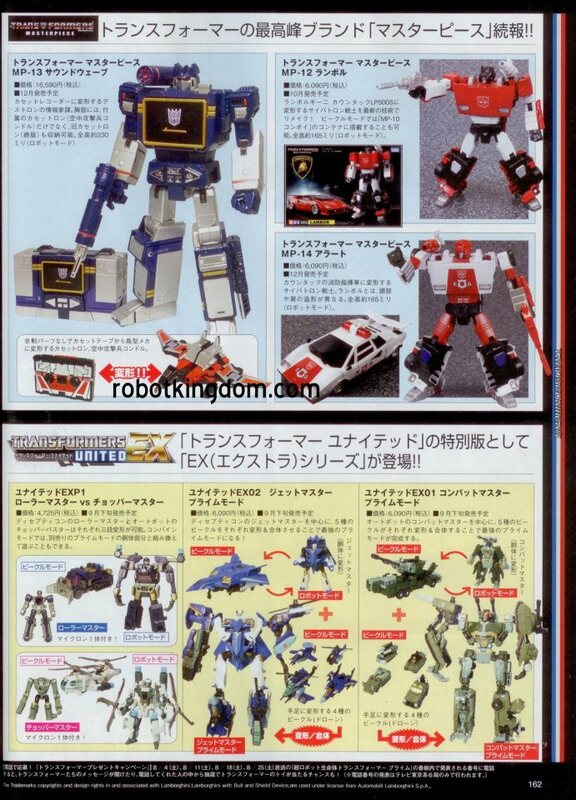 Shown off in this issue: Transformers Prime Gaia Unicron, Ironhide, and more microns, then Transformers Generations EX Jet Master and Combat Master, and they top it all off with a heaping helping of Masterpiece releases in the form of Soundwave, Sideswipe, and Red Alert. 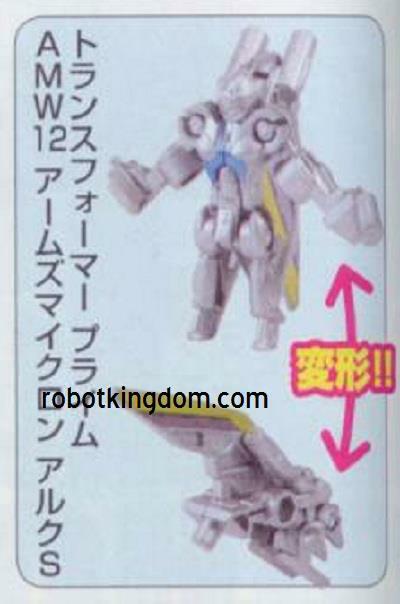 It’s almost more than a non-Asian market Transformers fan can stand. Check out the pics, and if you need me, I’ll be quietly sobbing in the corner. 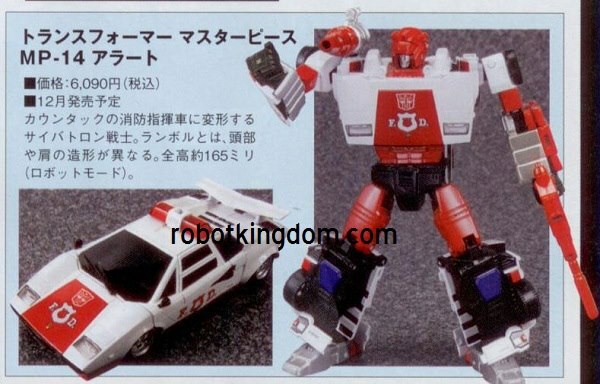 HT to our friends at RobotKingdom for the scans! Transformative News – New Show Coming! Wait… what am I seeing in that top pic? 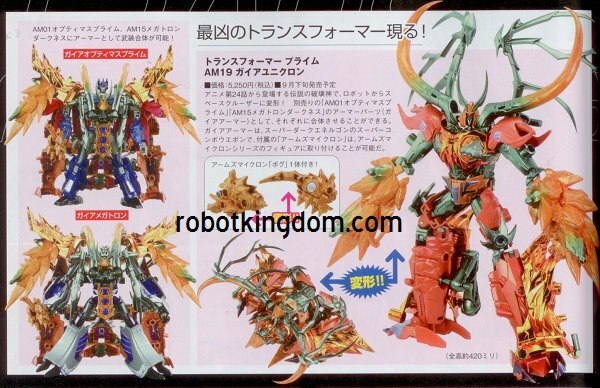 Unicron becomes armor for Prime and Megatron? 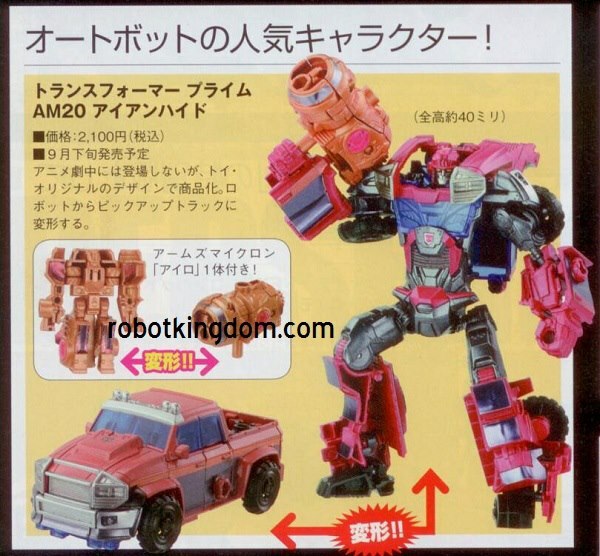 If that’s Prime in the top picture he looks a little weird… like his arms aren’t red like they should be? 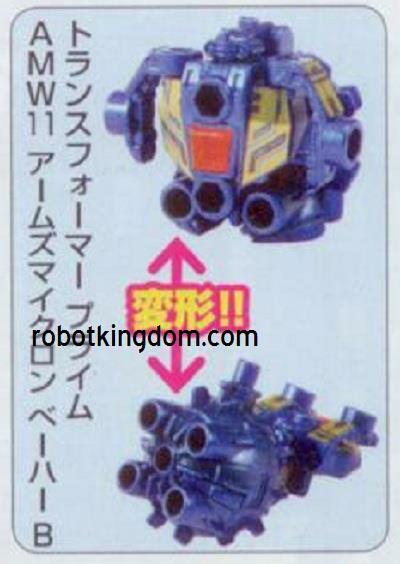 Yes, indeed, Unicron combines with Megatron and Optimus in what I could only imagine will be a completely off the rails story point for TakaraTomy. 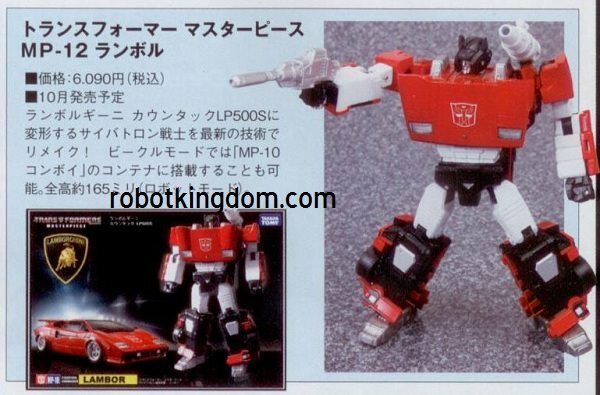 That is the same PRID Prime that we all have. Is it maybe a sales issue that these don’t make it to the United States? I just don’t understand why these are only in asian markets… does hasbro hate americans? Are they the toy taliban? Brandon, all toys sold in the United States must pass a draconian list of ordinances and rules, the biggest of which is called a “drop test”. 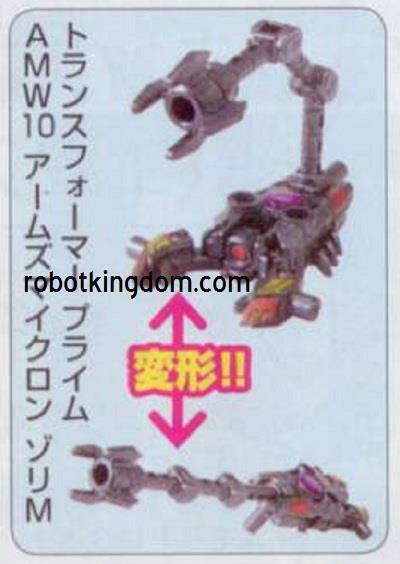 They literally take the toy and drop it from different heights to see how many jagged pieces it splits into. Too many pieces = not sold in the States. Also, moving pieces, the size of the different components, and more factor into sales. Obviously, Unicron is not going to pass those tests. Also, once the mold is done it’s cast in gray plastic. 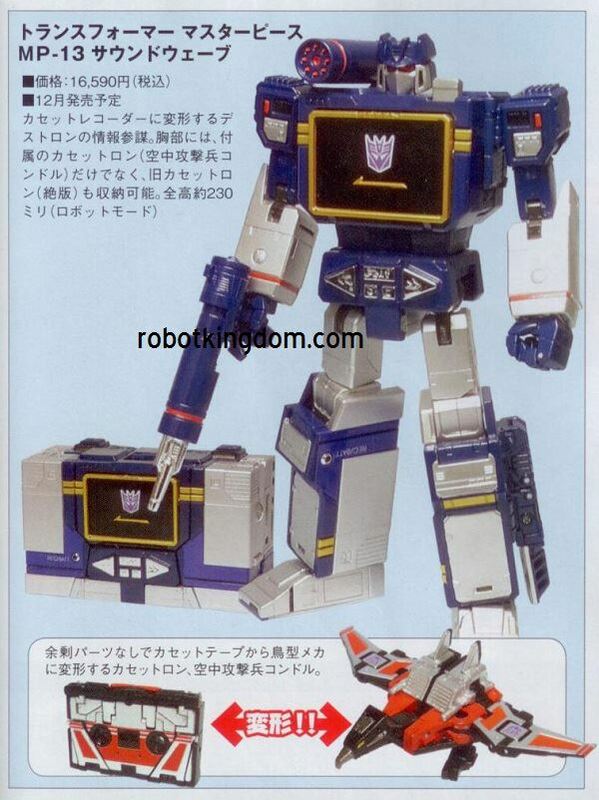 Each company (TakaraTomy and Hasbro) can choose their own deco for it based on cost of paint applications and such. Confusing, yes, but it’s why we get variants, non-releases, and the such.